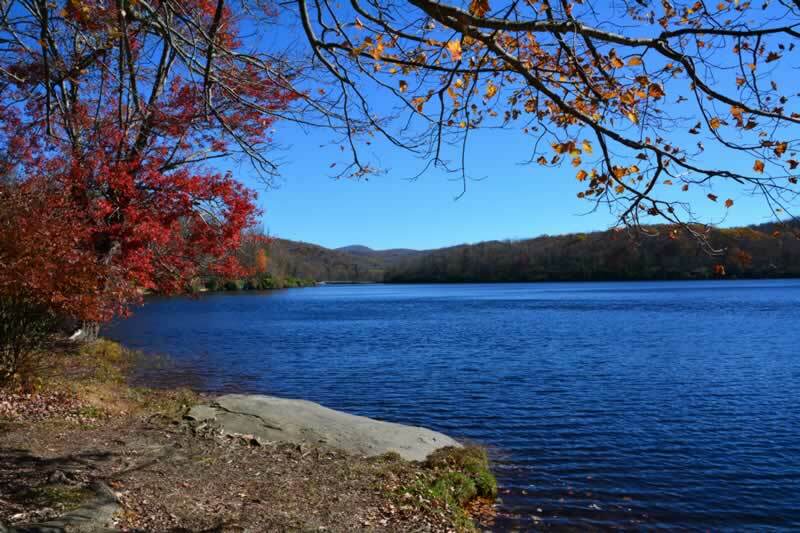 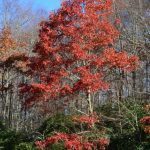 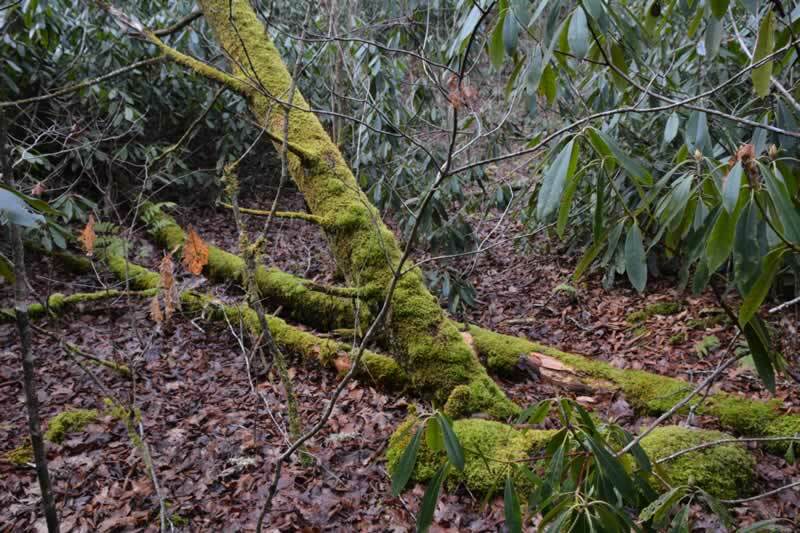 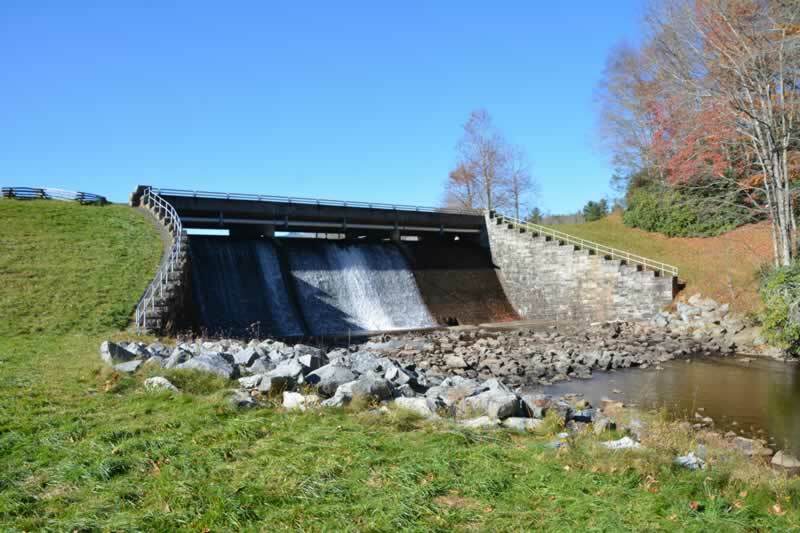 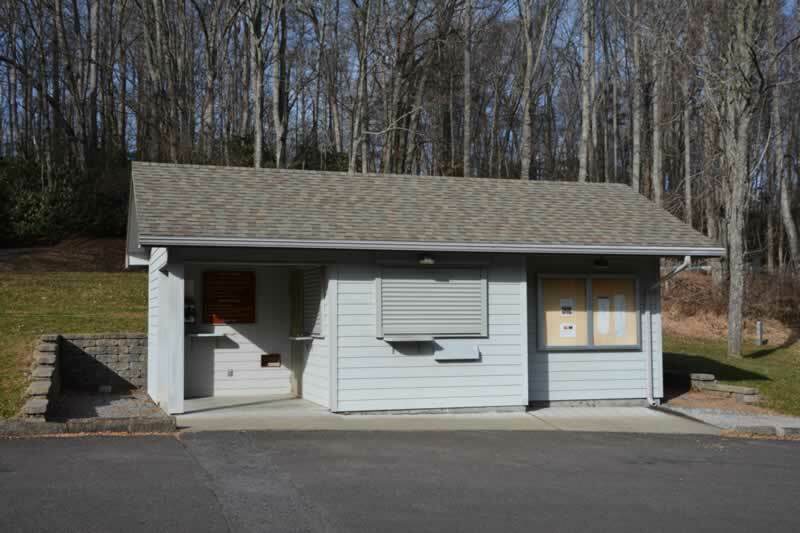 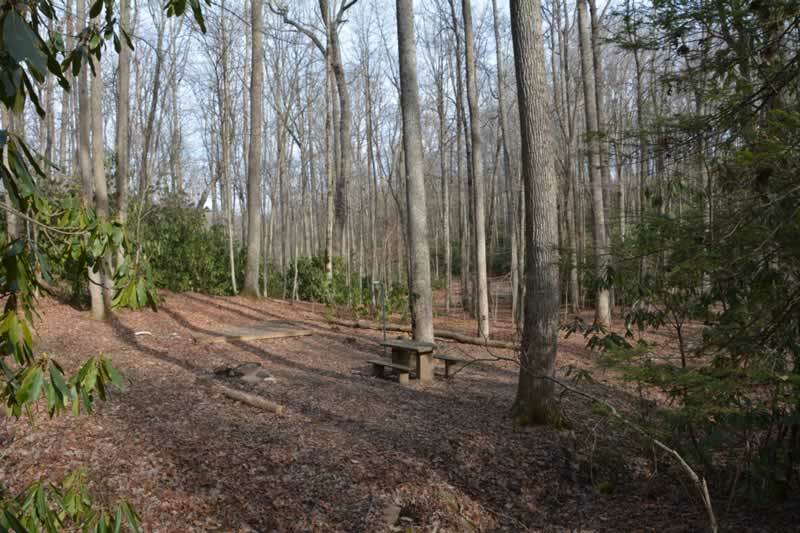 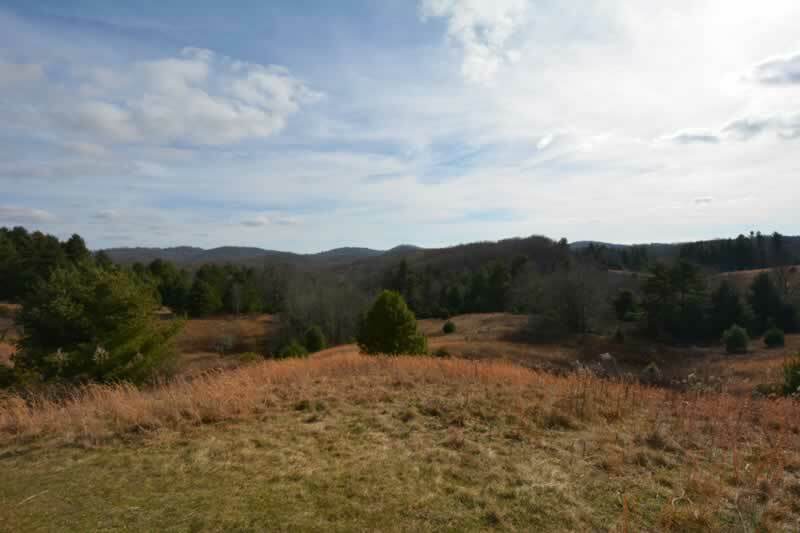 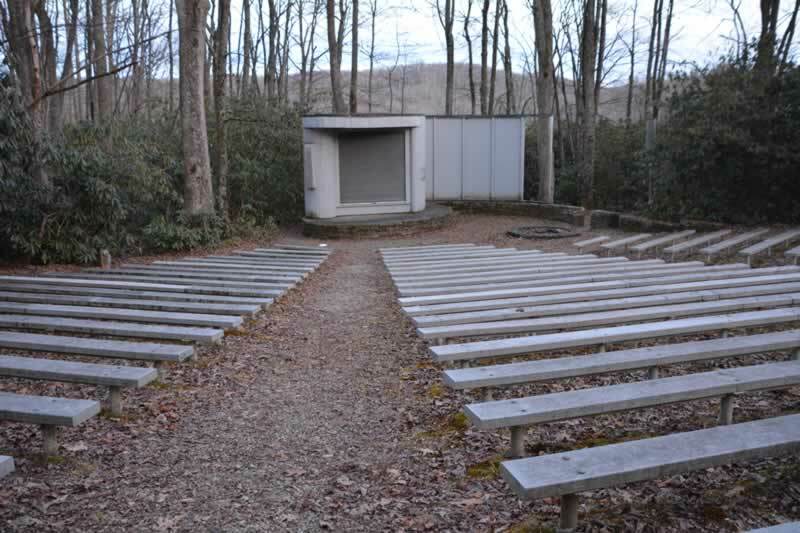 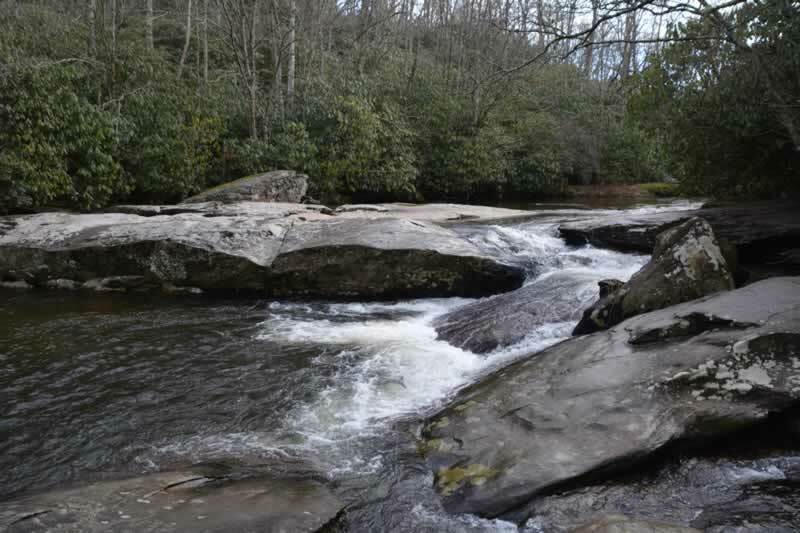 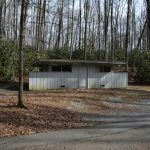 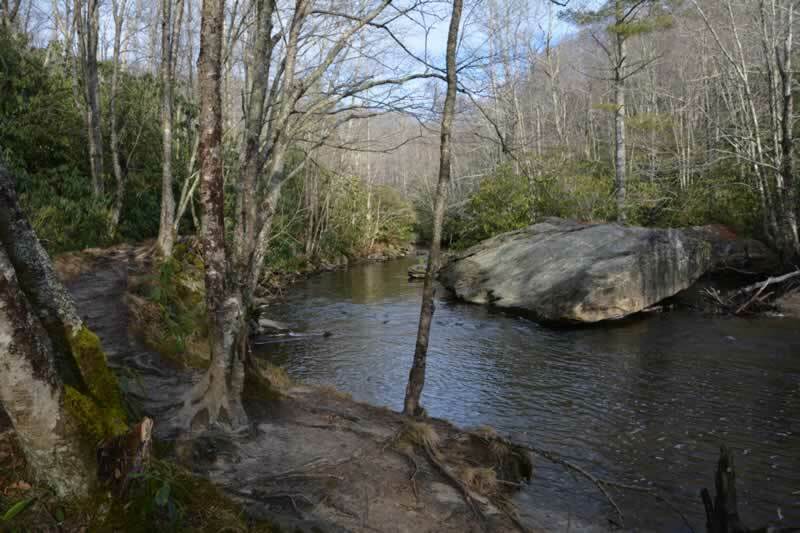 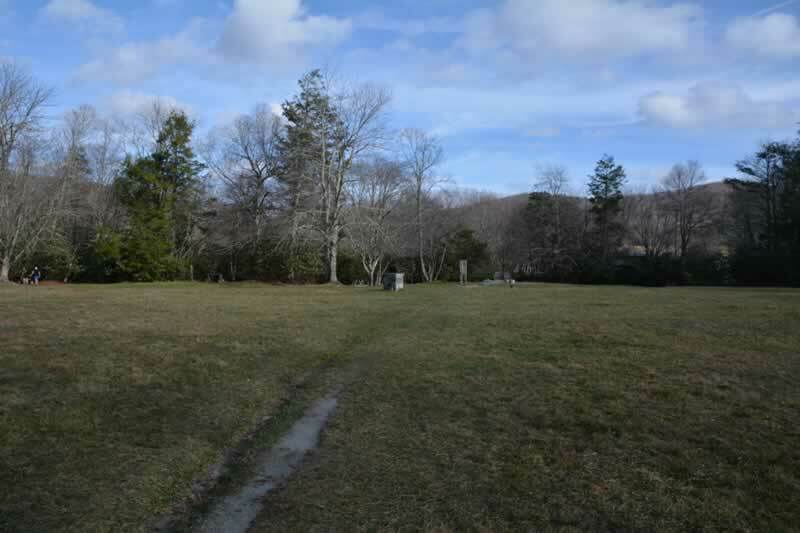 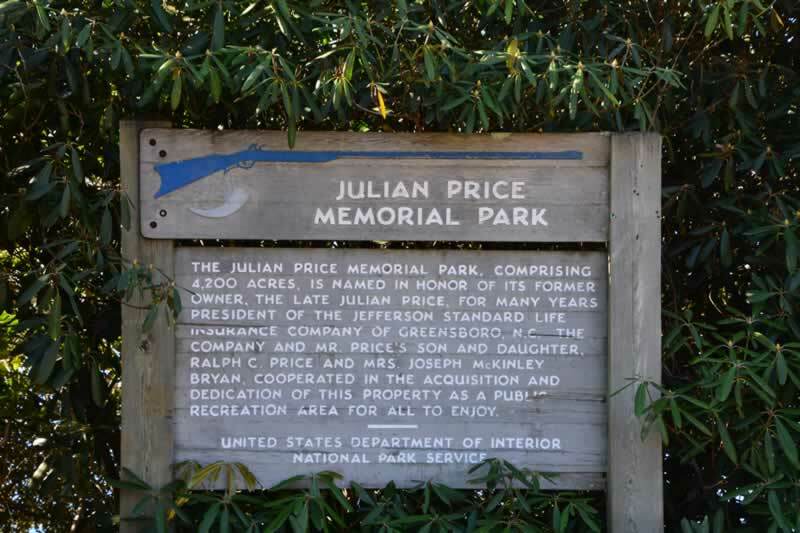 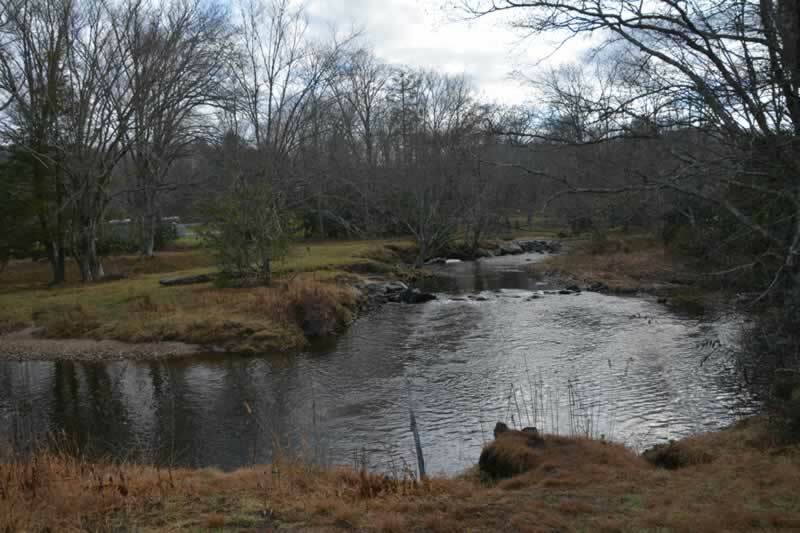 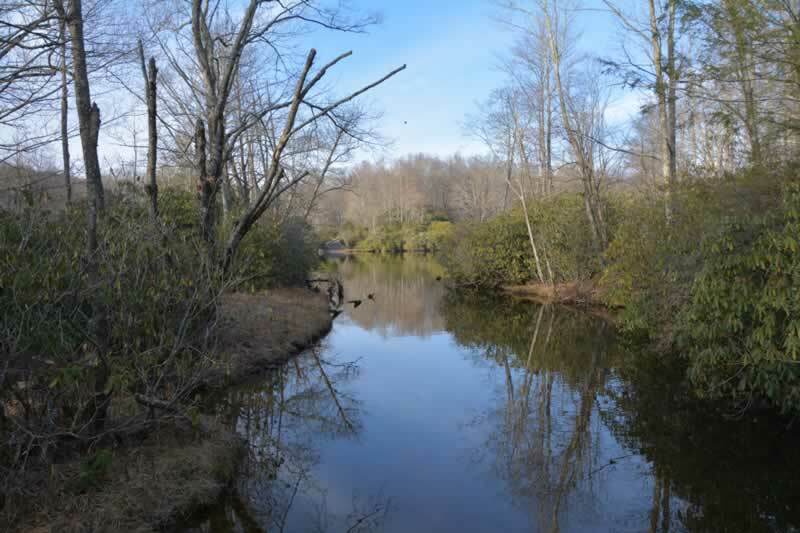 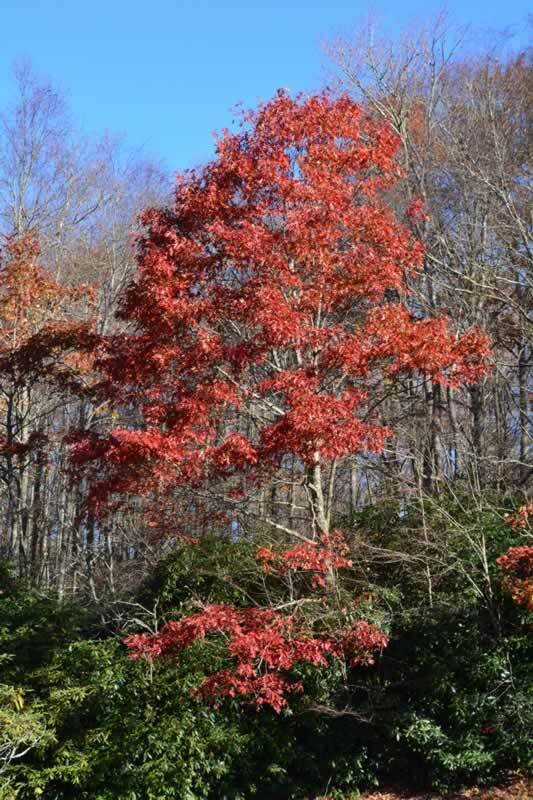 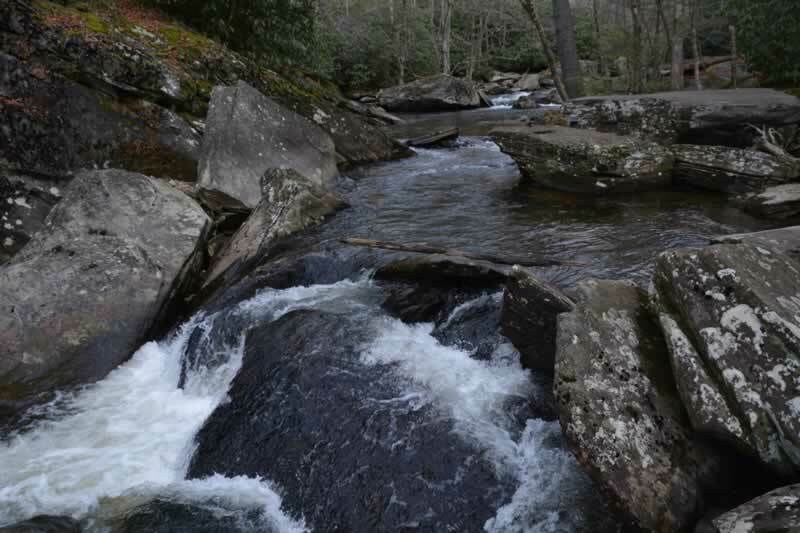 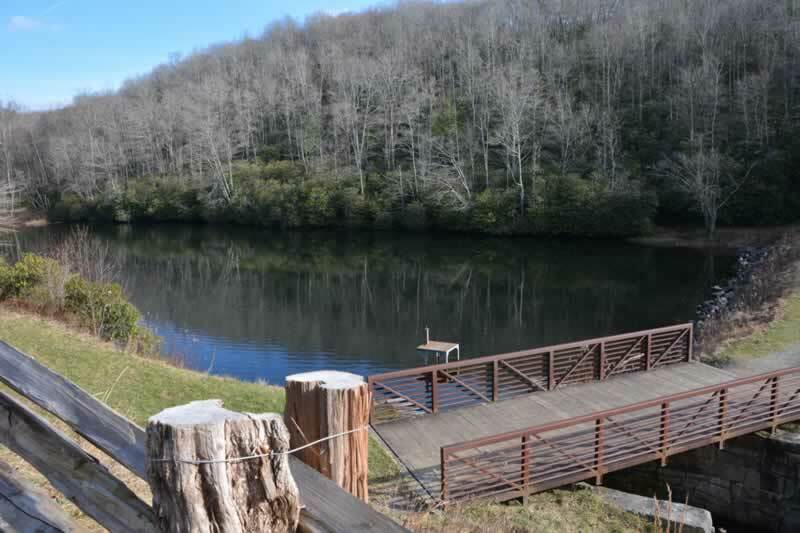 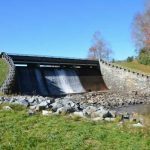 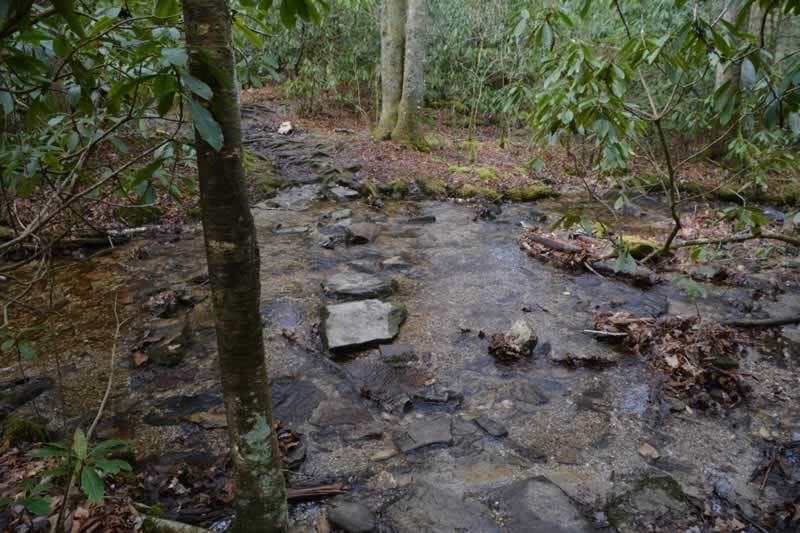 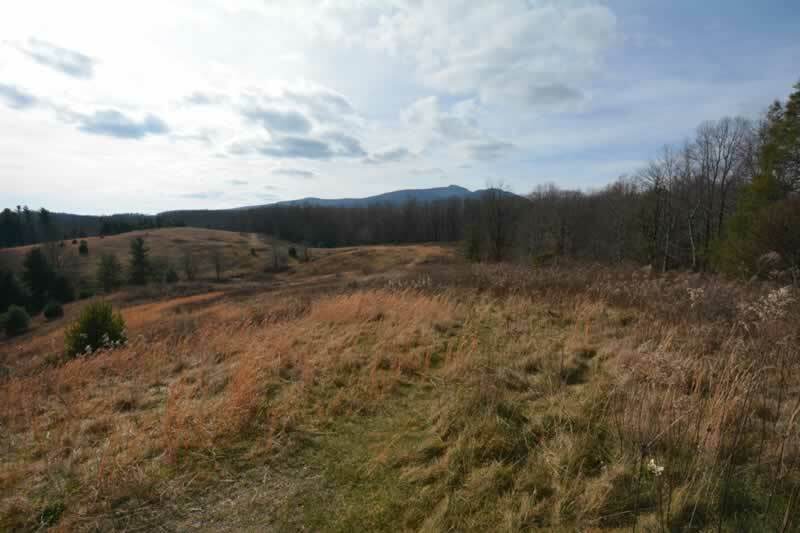 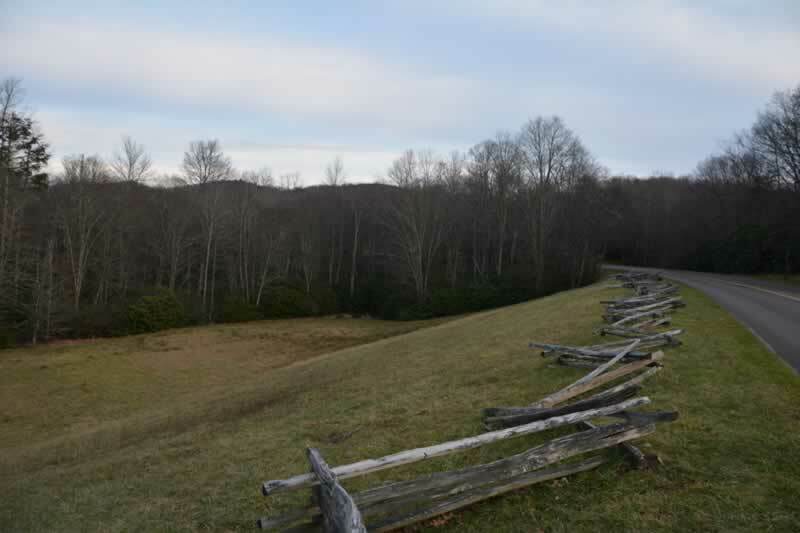 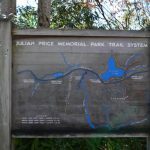 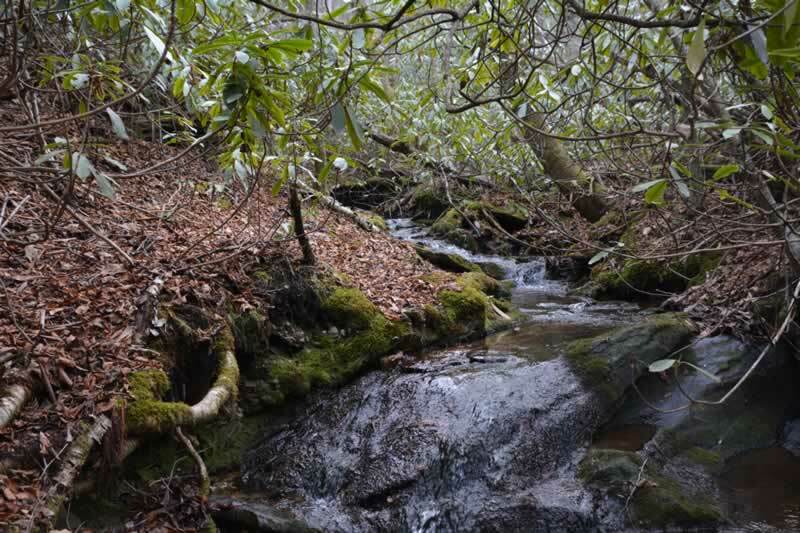 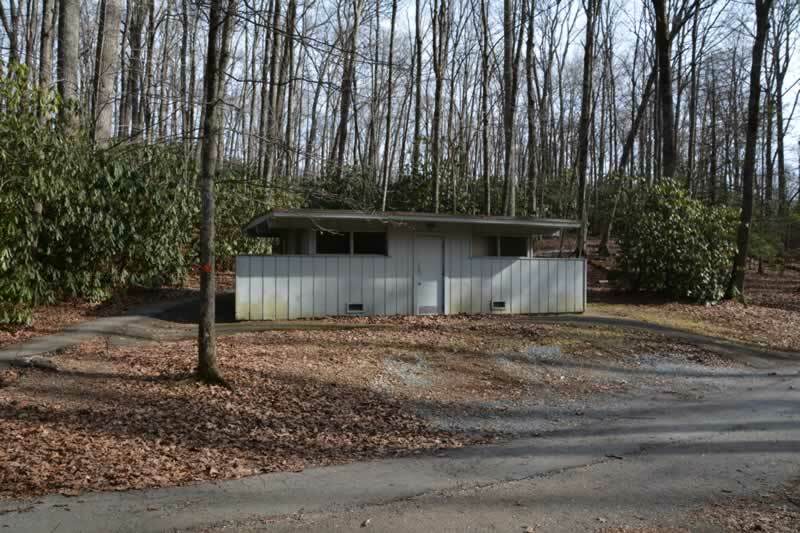 Julian Price Memorial Park covers 4200 acres is and located on the Blue Ridge Parkway around Mile Markers 296 – 297. 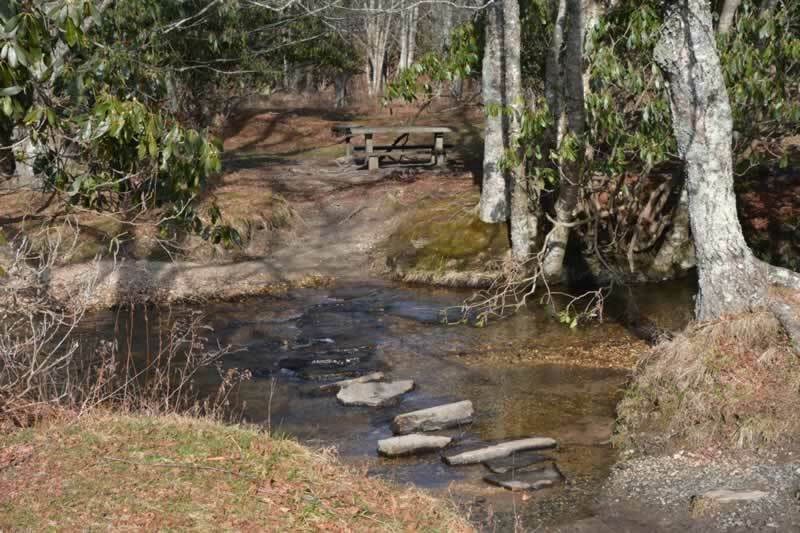 The Park offers a wide verity of activities for the whole family. 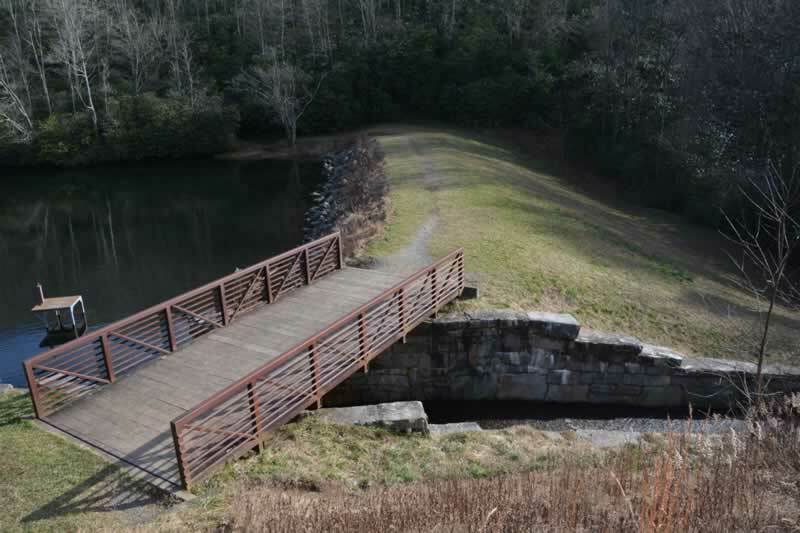 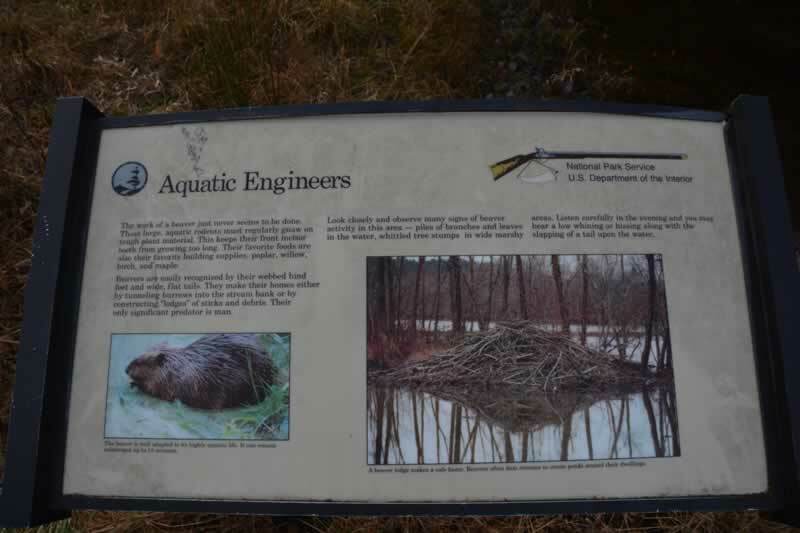 If traveling south on the Blue Ridge Parkway, you will come to Sims Pond first. 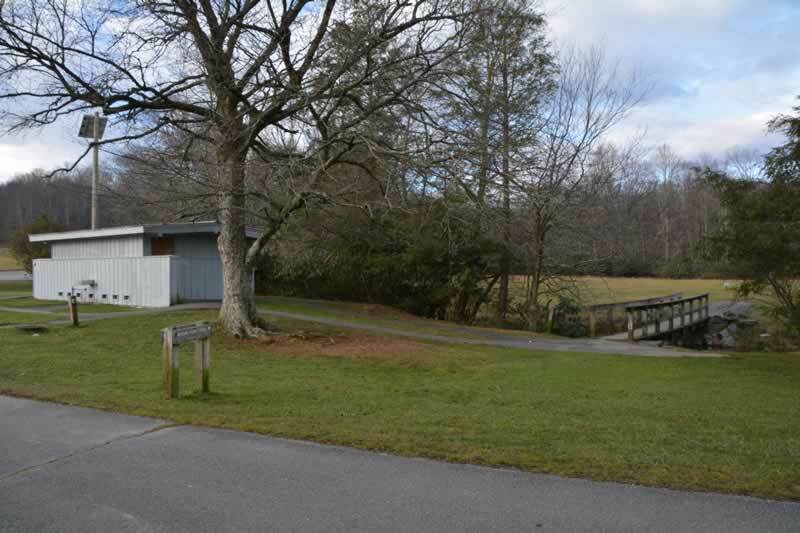 Sims Pond is the smaller of two lakes at Julian Price Memorial Park. 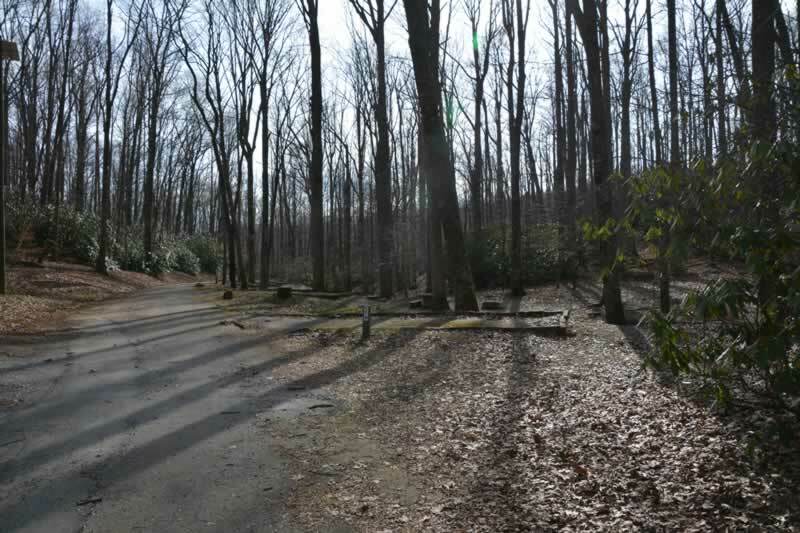 There is a small parking area and a trail around the area. 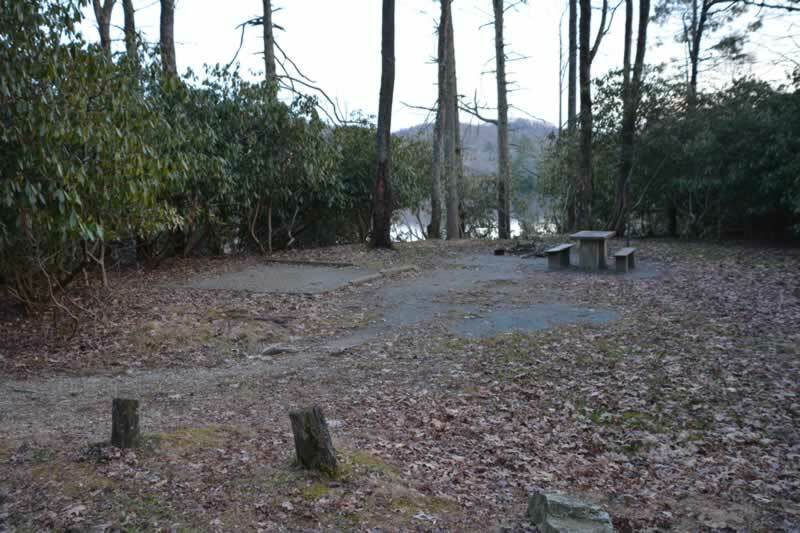 Next is the Picnic area. 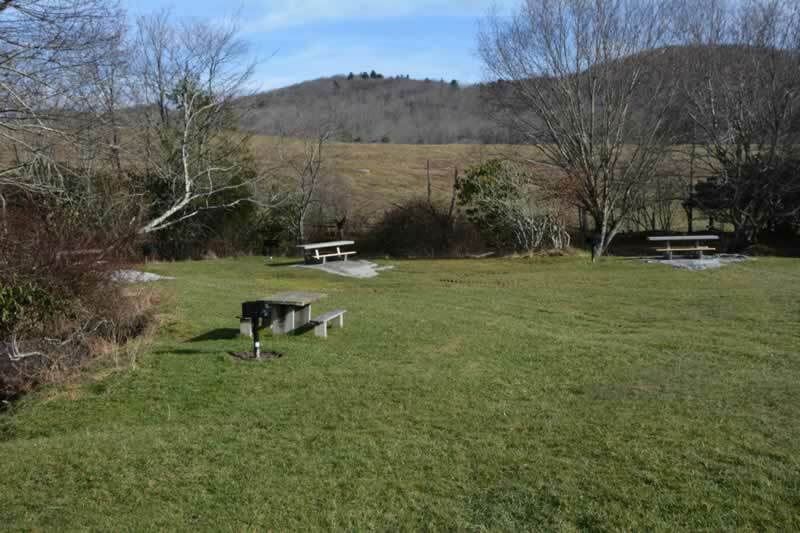 There are ample parking and a lot of picnic tables (except for some very busy days). 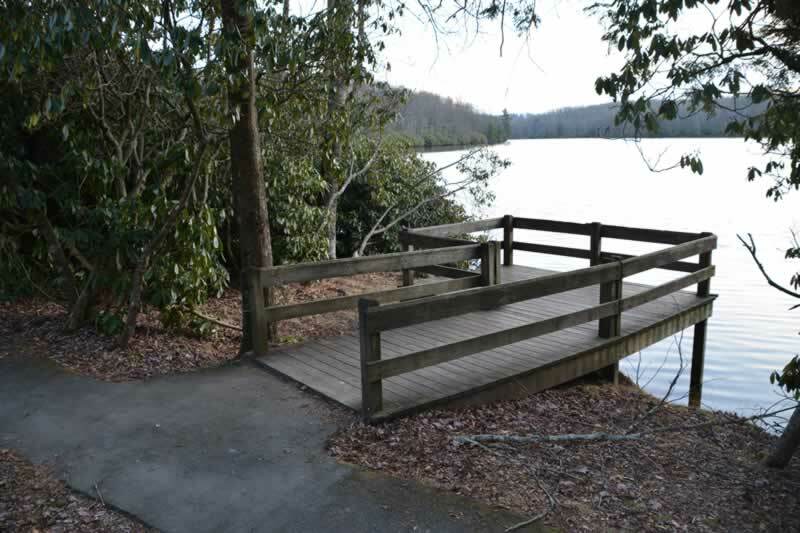 There are tables that are very close to the parking area and others that require a bit of a walk. 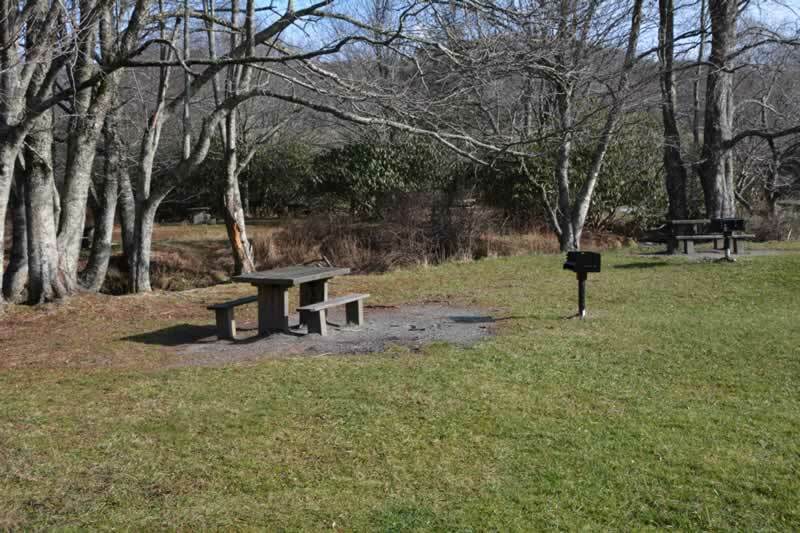 Most also have a grill and there is a restroom available. 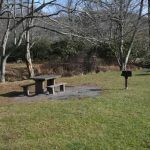 This is a very popular meeting place for groups traveling the Blue Ridge Parkway. 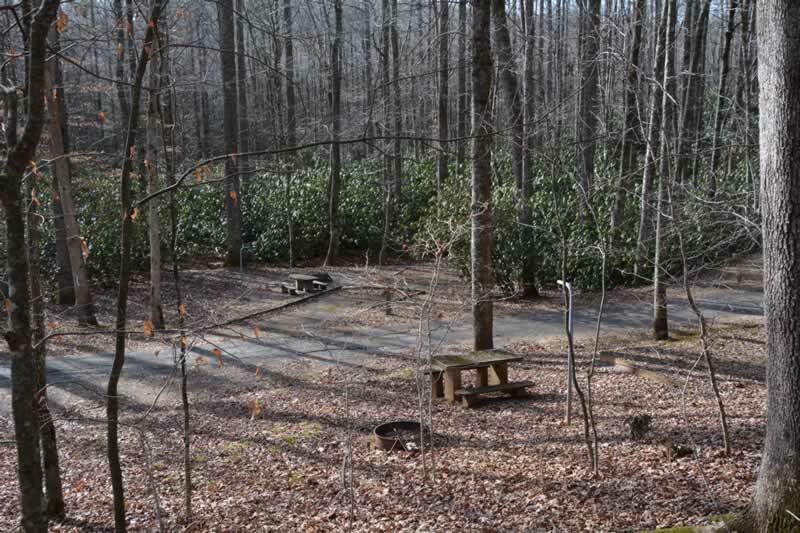 From the Picnic Area is the start of several hiking trails. 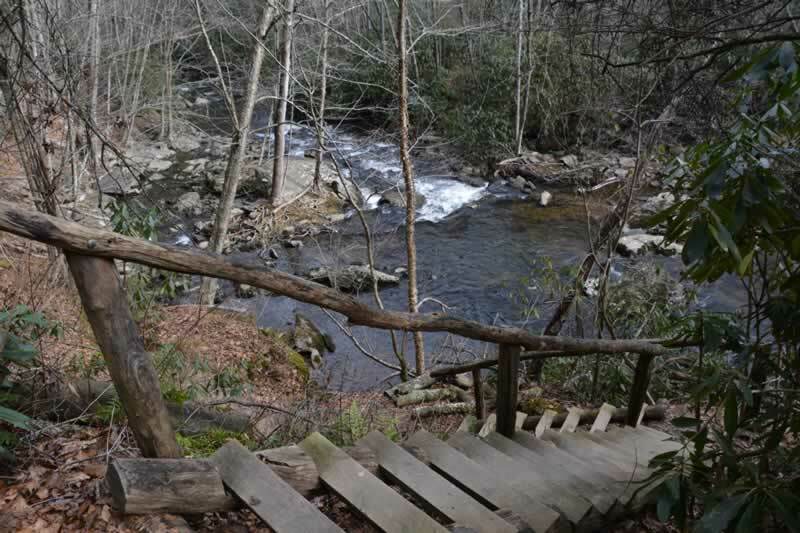 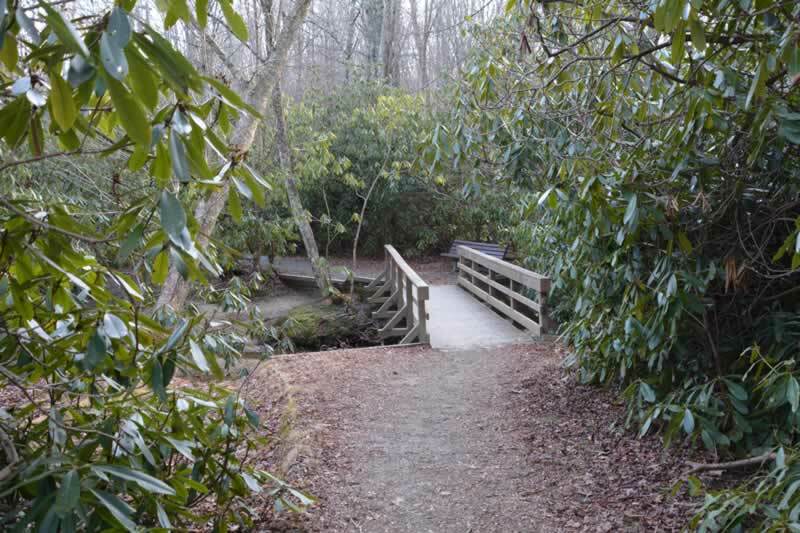 Just across the bridge at the restrooms is the start of a Kids Track Trail, the Boone Fork Trail, and the Hebron Trail. 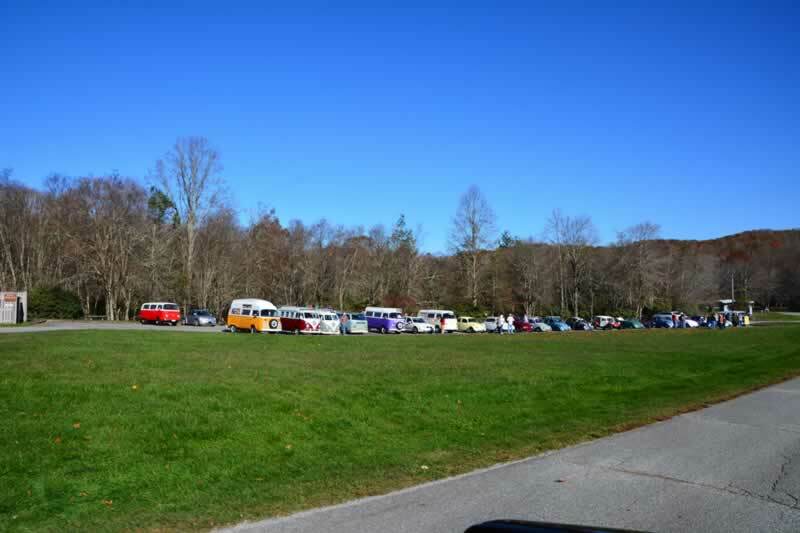 They all start at the same point. 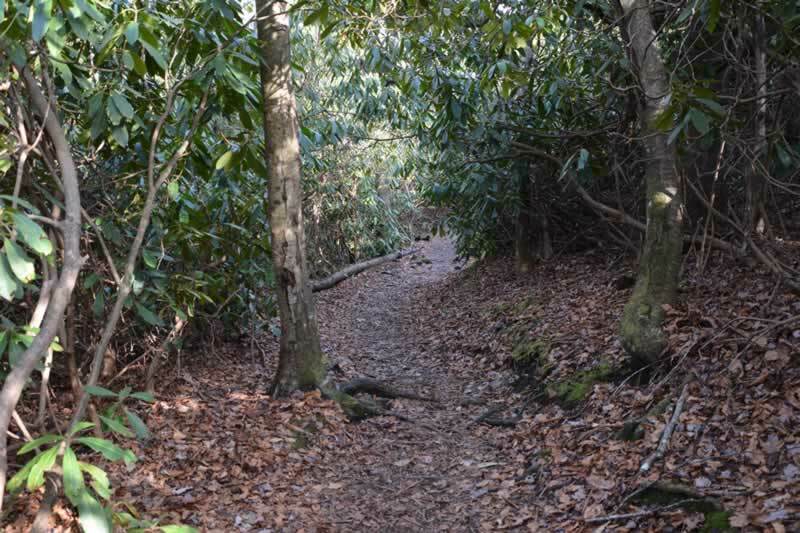 The Kids track Trail is the first .7 miles. 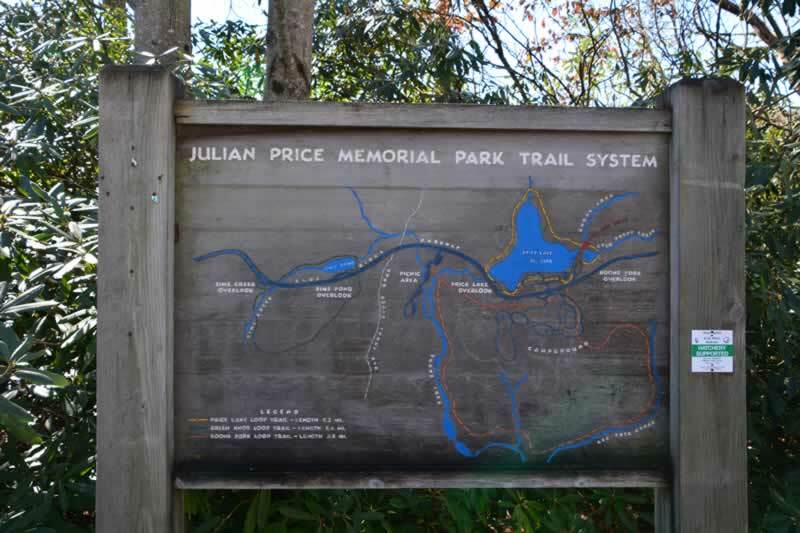 It is very easy walking and has educational markers for the children. 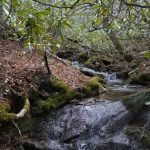 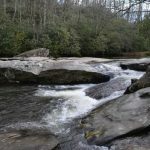 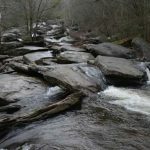 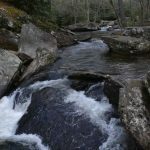 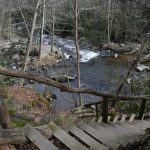 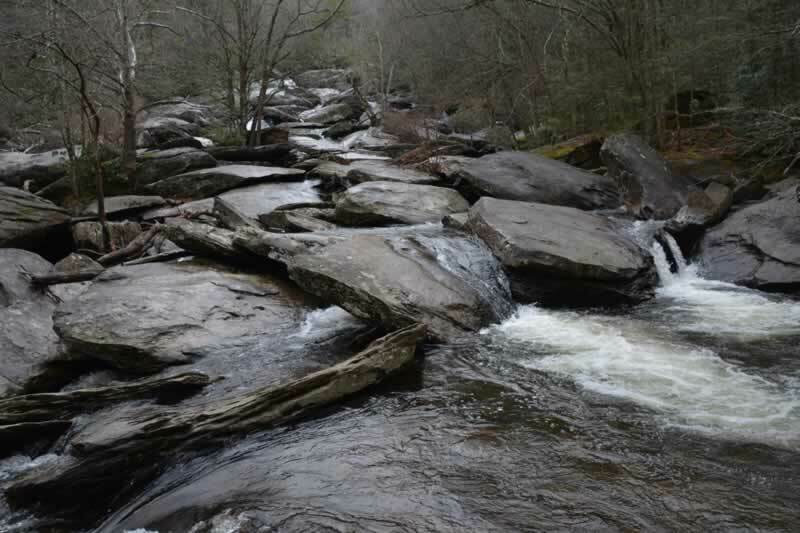 The Hebron Trail is about 1.5 miles and takes a right turn off the mail trail and down to the falls. 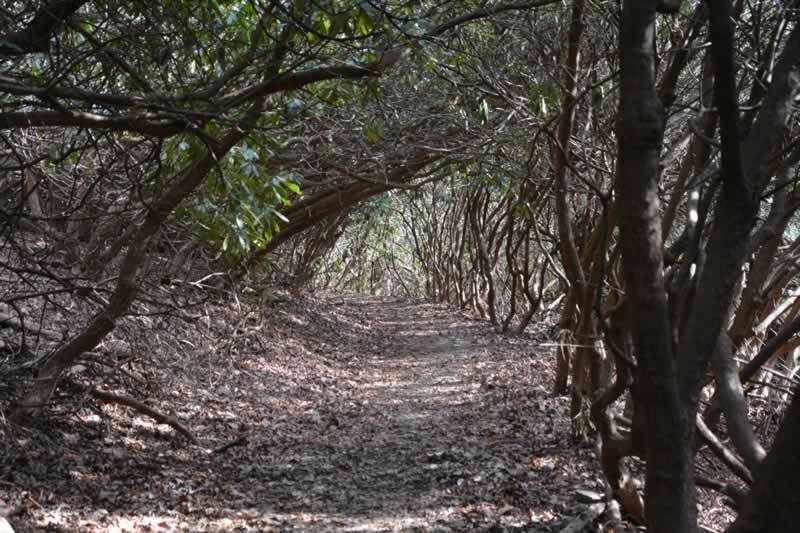 The Boon Fork Trail continues for another 3.5 miles and ends back where you started. 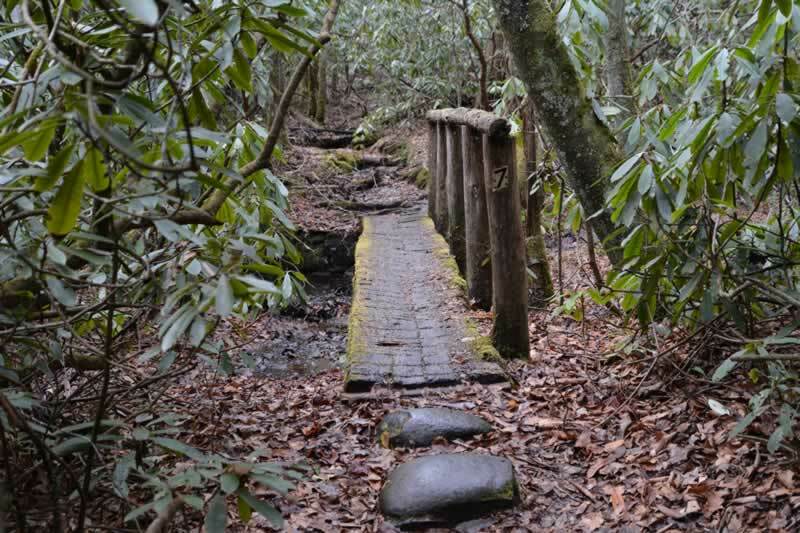 Each is well marked and gets more difficult as you continue. 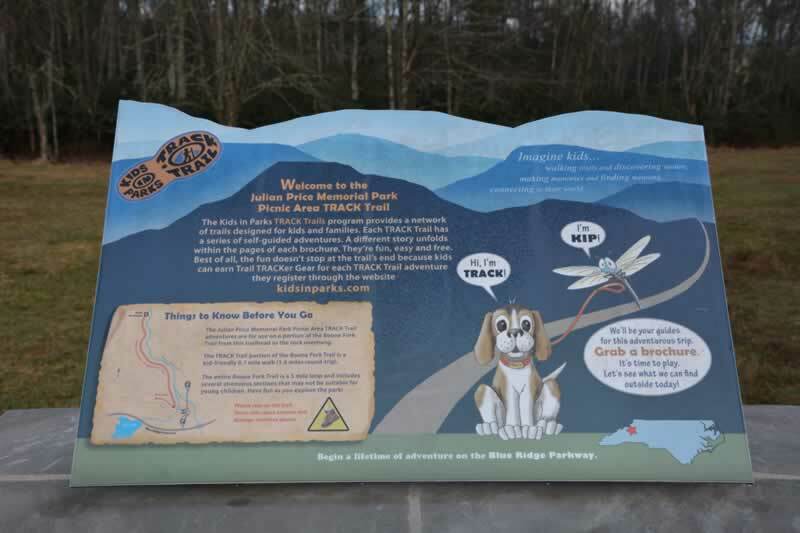 You will need to get back on the Blue Ridge Parkway to access the rest of the park if you want to drive there. 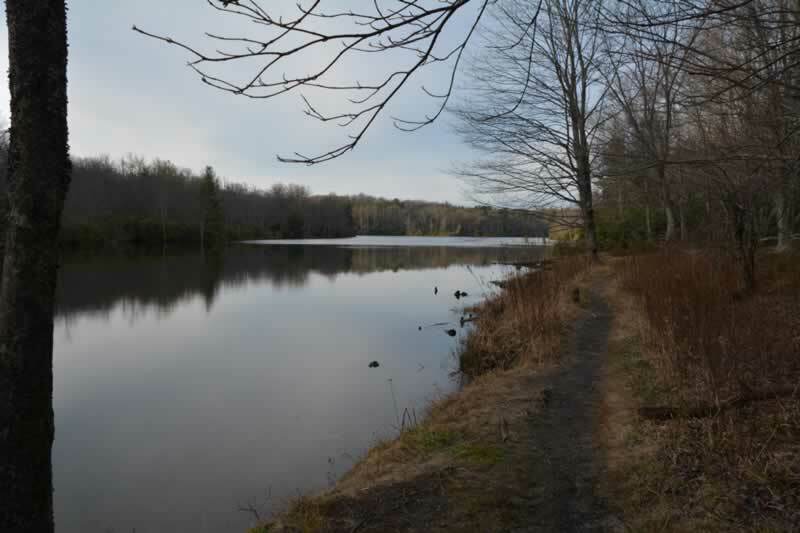 Continuing south on the Parkway, next you will cross the dam for Price Lake. 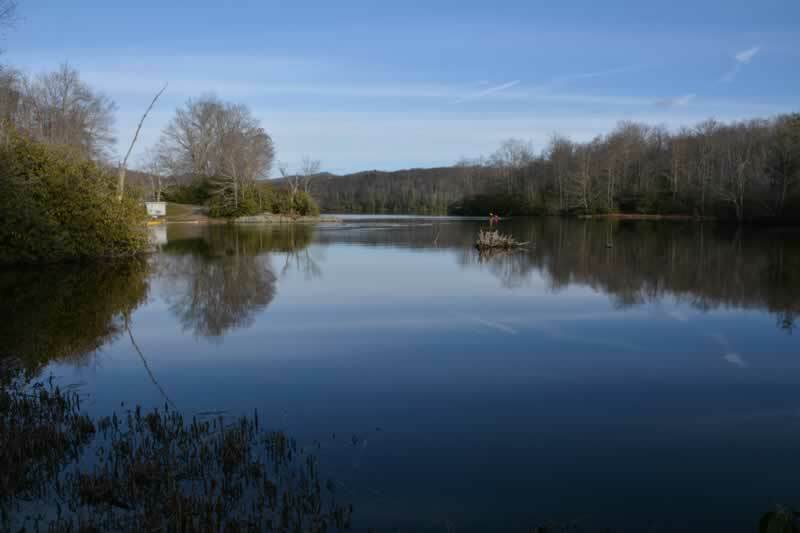 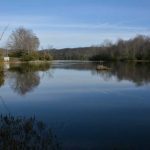 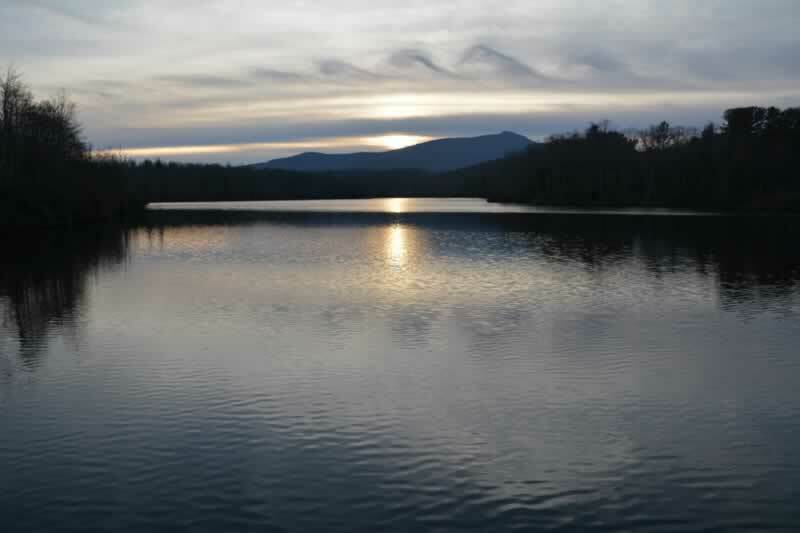 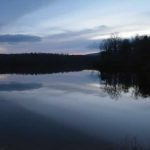 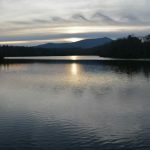 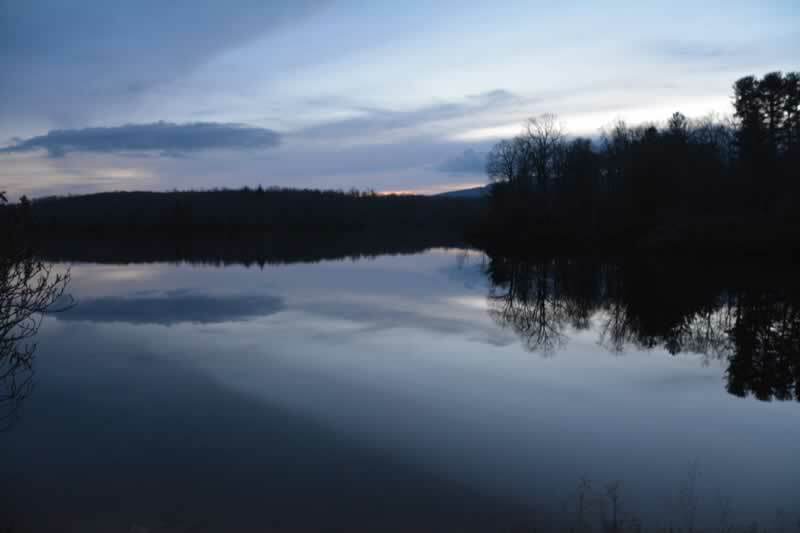 It is a 42-acre lake and is great for fishing, canoeing, and kayaking. 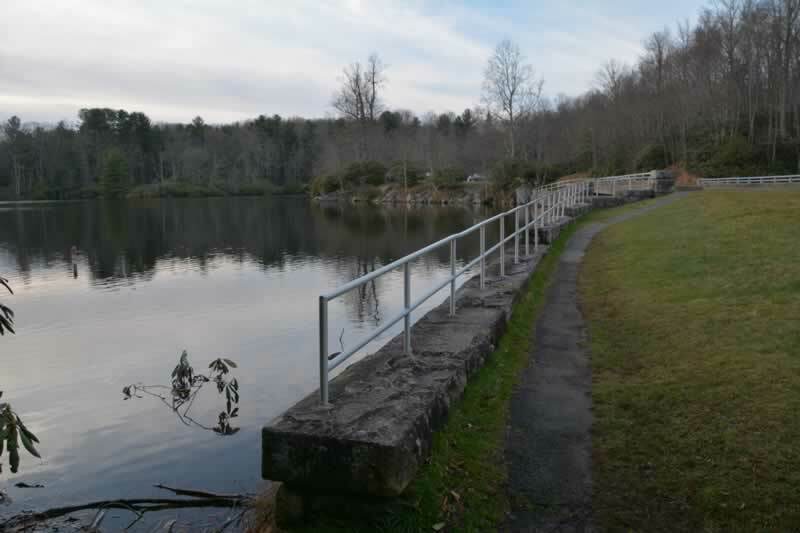 There is also a Handicapped Accessible Fishing Dock just to the right of the Parking Area at the Price Lake Dam. 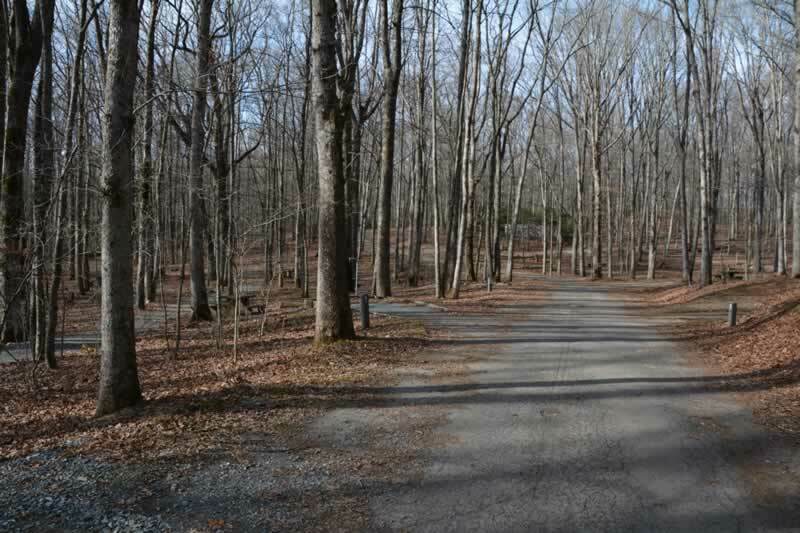 A little farther south on the Parkway is the Campground Entrance. 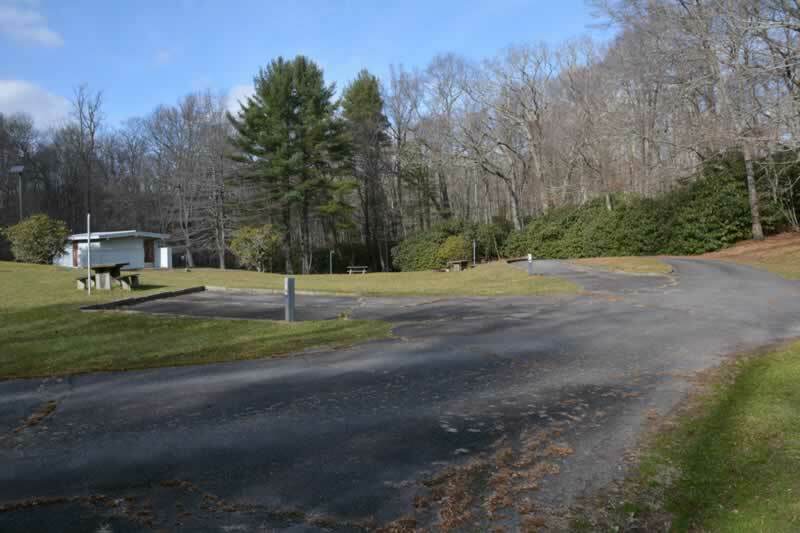 The Campground is only open part of the year. 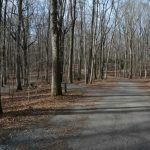 There are several types of sites. 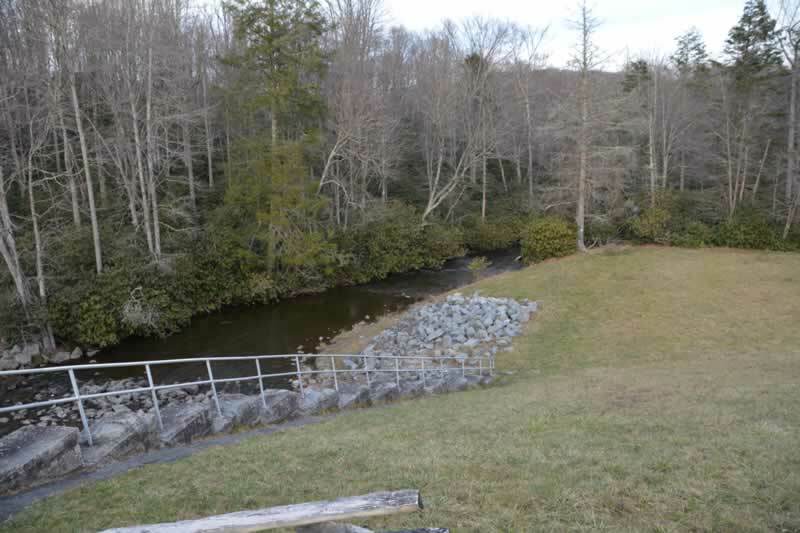 Some are Pull-through, some are waterfront, some with sewer hookups. 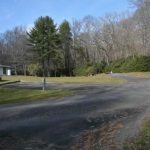 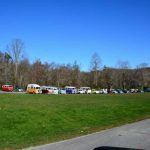 This is a popular Campground and will fill up fast at times. 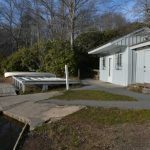 The Boat House is also in this section. 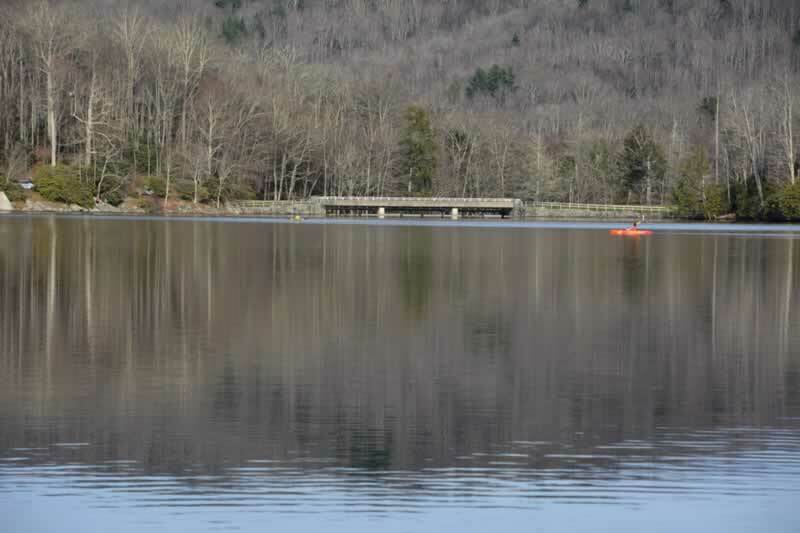 In season you can rent a canoe or bring your own. 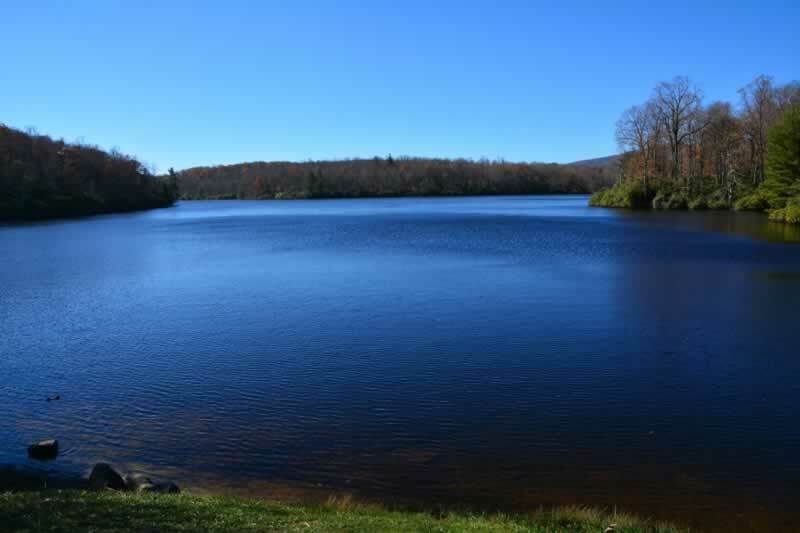 Motor Boats are not allowed. 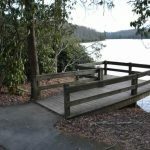 There is a parking Area at the Boat House and the start of the Price Lake Loop Trail. 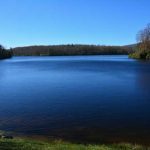 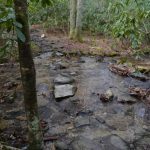 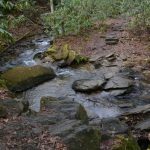 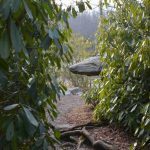 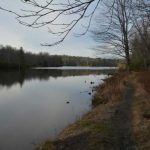 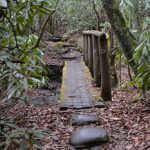 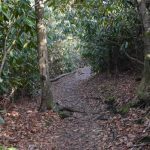 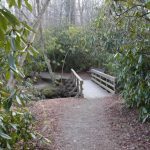 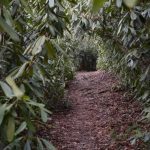 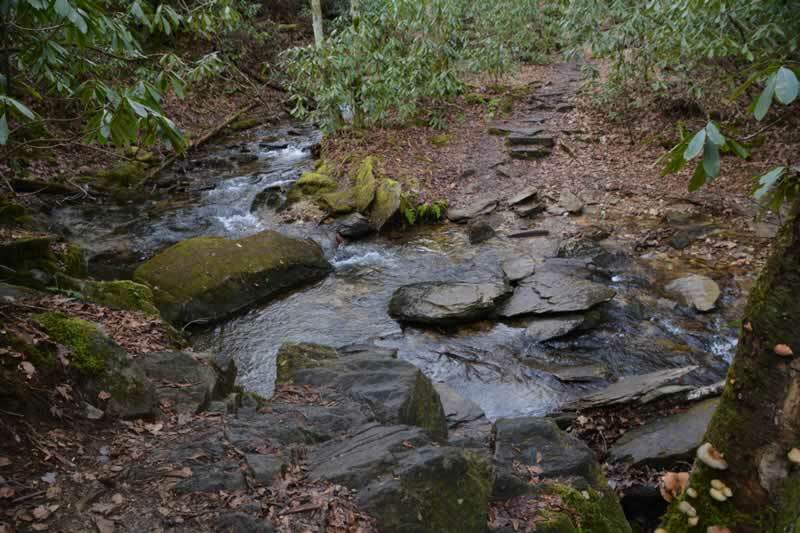 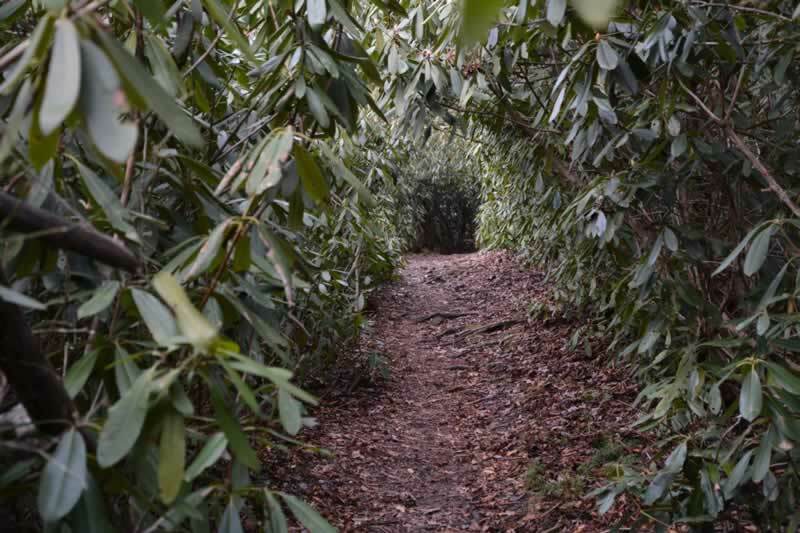 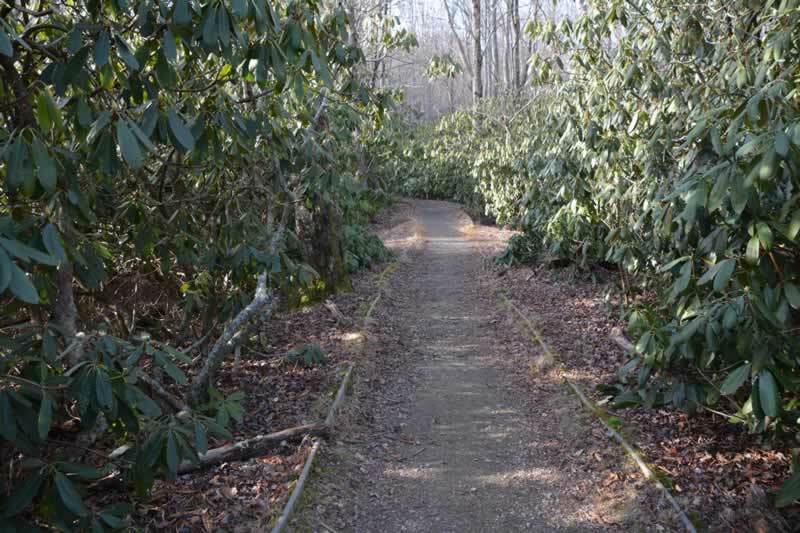 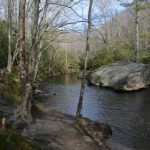 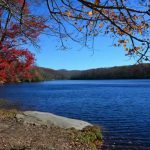 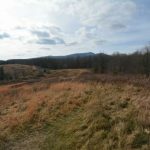 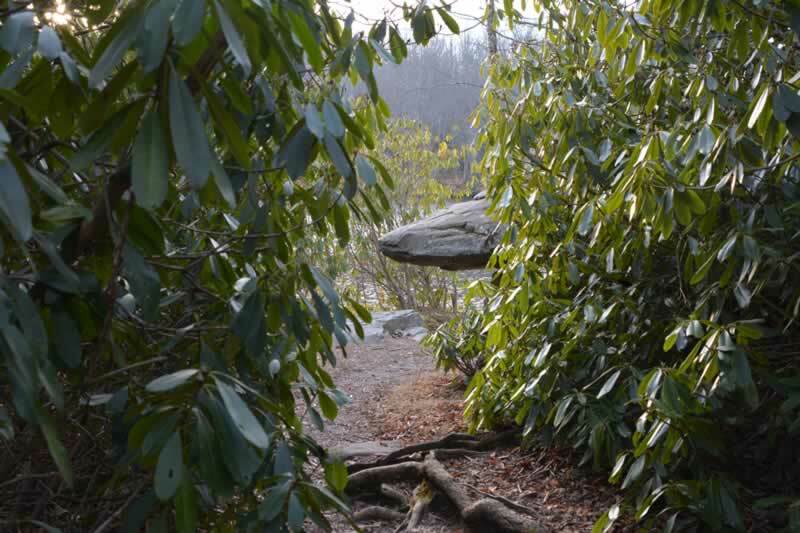 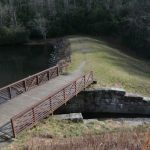 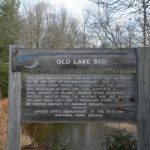 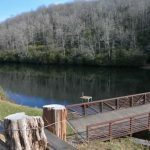 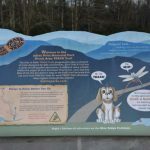 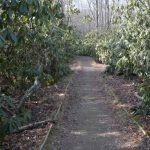 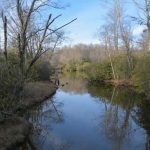 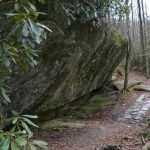 It’s a trail that circles the lake and one of the most popular trails on the Blue Ridge Parkway. 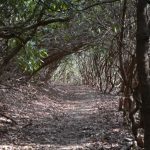 It is a loop trail so you can start anywhere you see signs pointing out the trail. 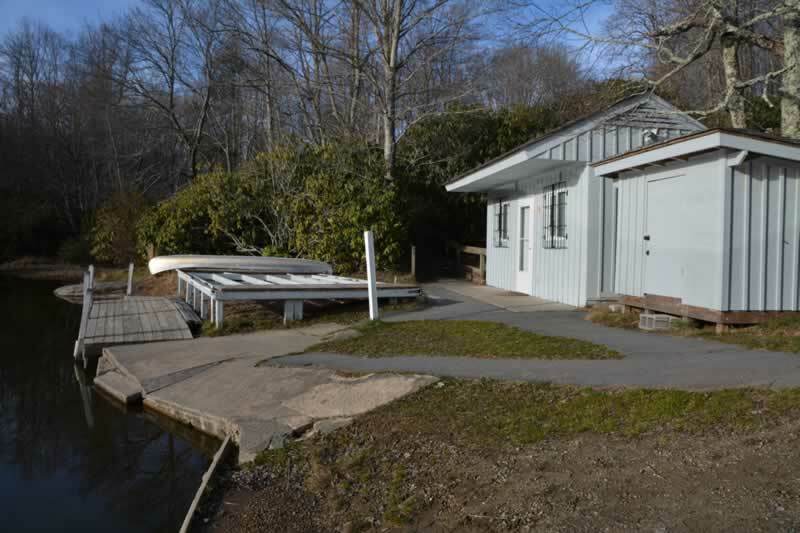 The best place to start is at the Boat House. 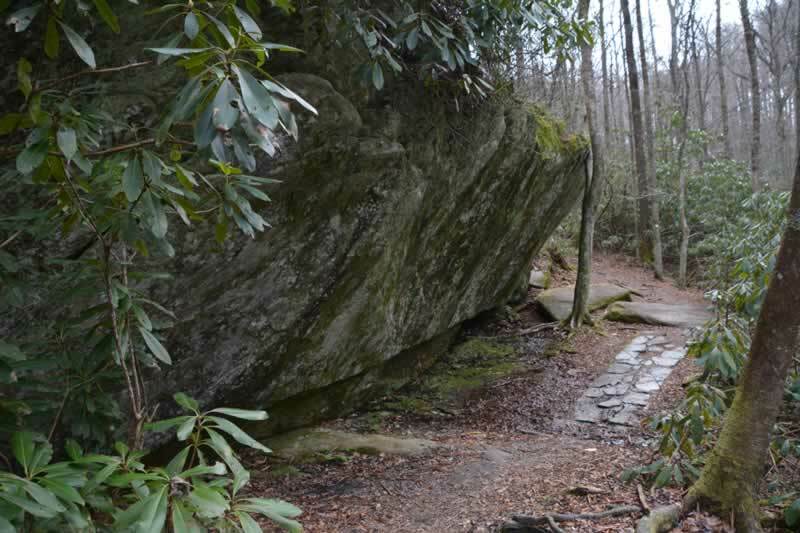 The first part of the trail is handicapped accessible and kid-friendly. 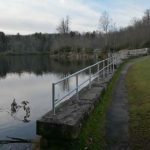 Price Lake and the streams in Price Memorial Park are all good fishing. 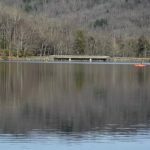 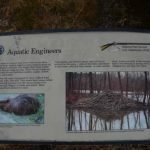 Be sure to be aware of the North Carolina Fishing Regulations. 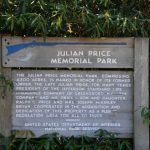 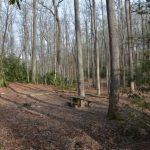 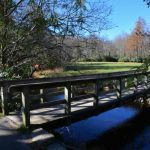 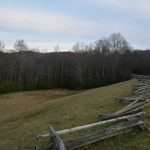 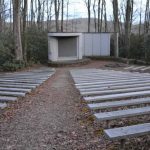 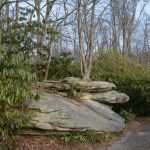 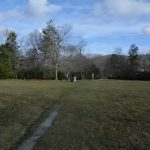 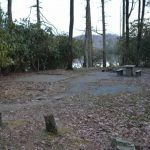 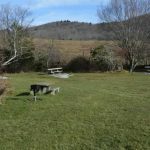 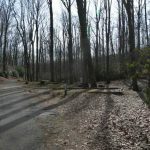 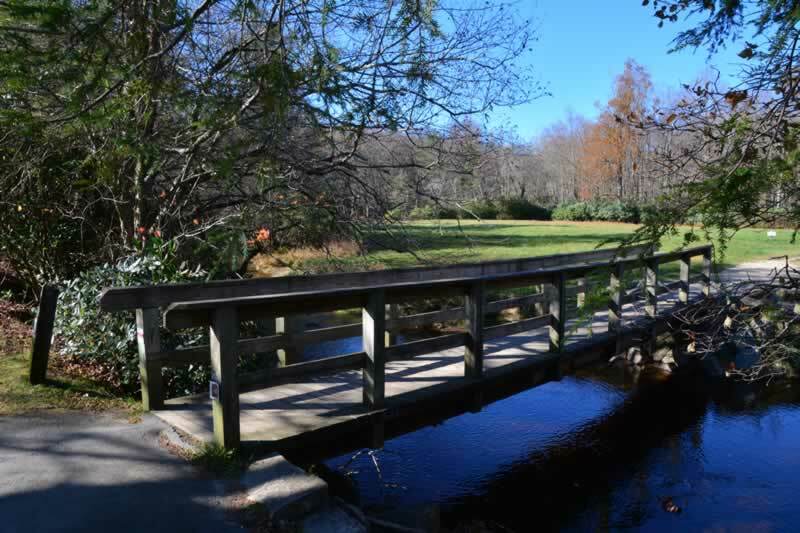 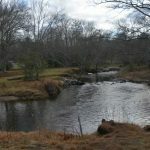 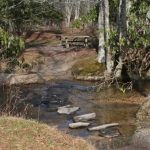 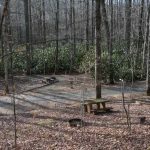 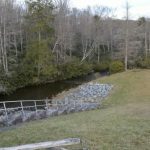 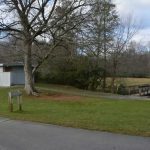 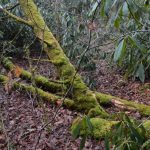 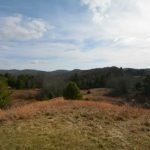 Julian Price Memorial Park is one of the best parks on the Blue Ridge Parkway. 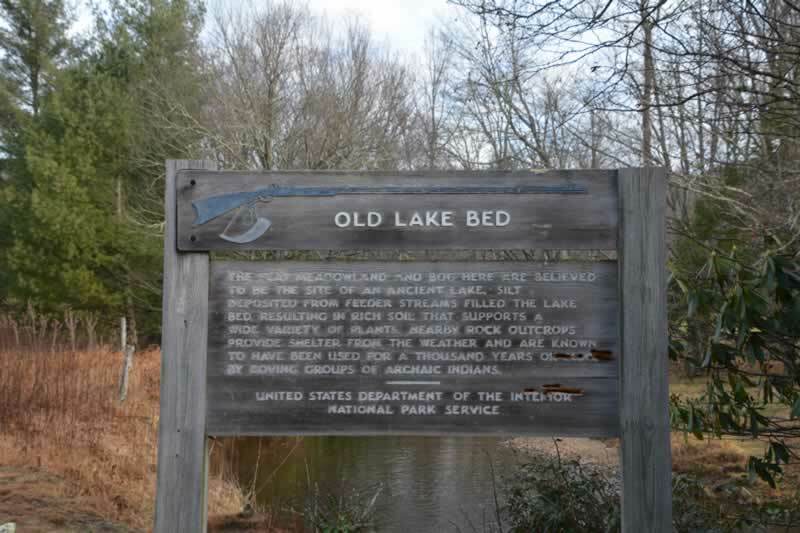 I have visited it on many occasions over the past 4 decades. 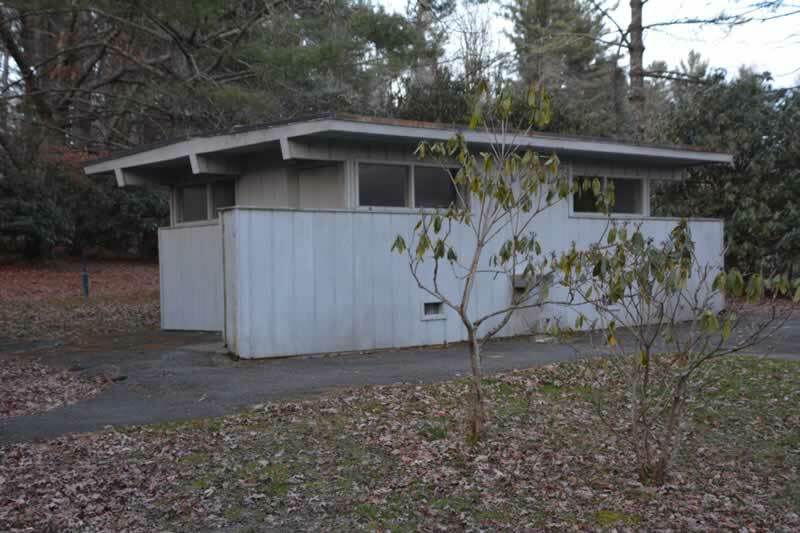 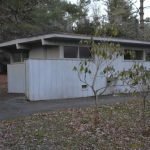 I have always found it to be well kept and family friendly. 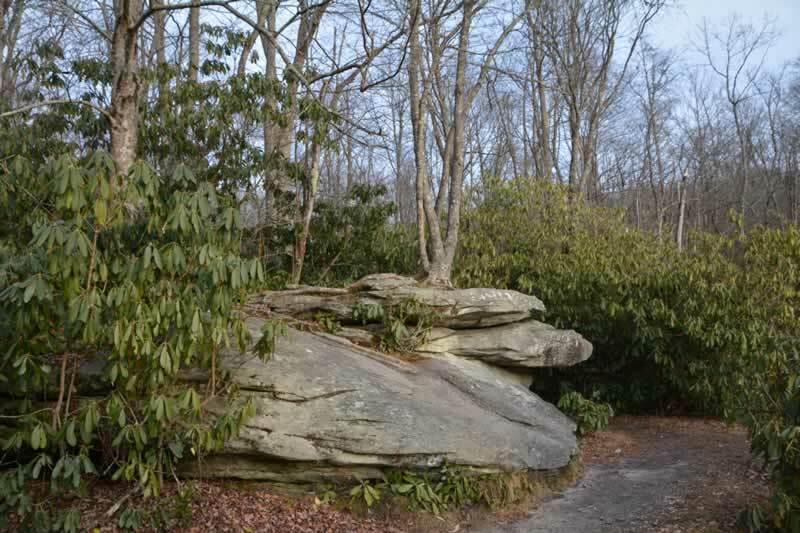 If I could only visit one place on the parkway, this would be it!